Because PTA can be a part of legislative issues, PTA is a positive and powerful influence in the community. Work with your local PTA to initiate the resolution Importance of Comprehensive Eye and Vision Examinations in your state. Contact Janet Hughes here and your resolutions Chair for the procedure and requirements for your state PTA. Are you an Illinois PTA member? 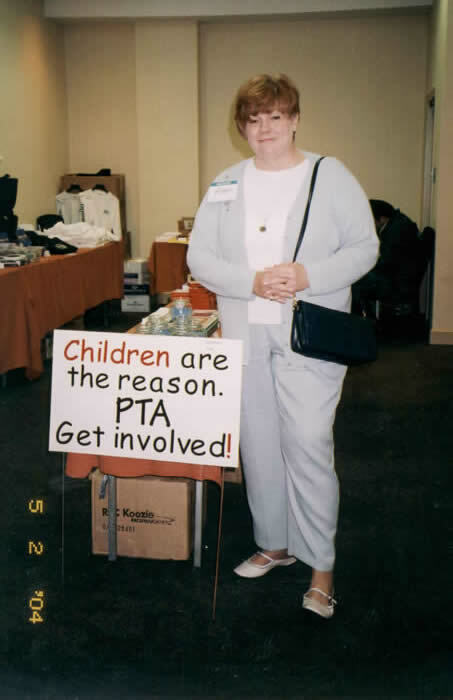 Illinois PTA adopted the resolution Required Vision Examination Before Entering Kindergarten at the 2004 convention. Authored by Illinois PTA member/Vision First President Janet Hughes, the resolution resolved to provide information to educate members, parents, teachers, administrators, and the public at large about children’s vision and the critical importance of comprehensive eye and vision examinations for all children during their school-aged years. The Vision First campaign is an excellent opportunity for your PTA to provide education regarding children’s eye and vision care. Informative letters, vision report forms, and helpful fact sheets are included in the campaign. We encourage your PTA to support your school in distributing the Vision First letters, forms, and fact sheets. Encourage your school to join the Kids Eyes Count Campaign. Thanks to the resolution supported with Illinois PTA, the Illinois Federation of Teachers initiated legislation in 2007. Illinois PTA honorary life member, IFT member, Vision First board member Nora Waliczek presented the resolution to President Jane Russell of her West Suburban Teachers Union Local 571 in 2004.